Due to unexpected bad weather, the Panama City Beach Chamber of Commerce had to cancel IdeaCamp in August. The rescheduled IdeaCamp will be on Wednesday, September 27, from 5:30 PM to 7:30 PM at a NEW location at Dave & Buster’s, located at 15701 L C Hilton Jr Drive in Pier Park. 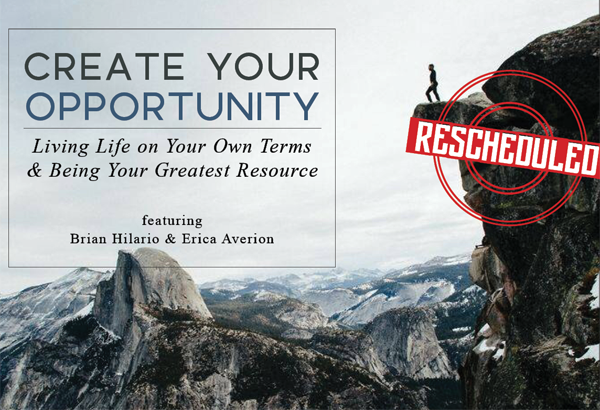 The topic will be “Create Your Opportunity,” and guest speakers Brian Hilario and Erica Averion will talk about what it takes to live life on your own terms, how to create opportunities for yourself, and how to be your greatest resource. This IdeaCamp is presented by Southwest Airlines and sponsored by Beachy Beach Real Estate, Panama City Toyota, ServPro of Bay County, and Grand Slam Sports Tournaments. Join this relaxed networking event for light hors d’oeuvres, cocktails, and the opportunity to hear people share their own wisdom, stories, and tips for business and life success. IdeaCamp is FREE for Beach Chamber members and $10 for non-members. To RSVP, click here.